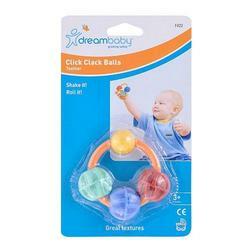 The Dream Baby Click Clack Balls (Teether) PVC Free has a great feel, theyre solid & Textured. Roll the balls around the ring & listen out for the click clack sound when you shake the balls around. Great to chew on too.